Posted: Friday, April 12, 2019. 3:25 pm CST. 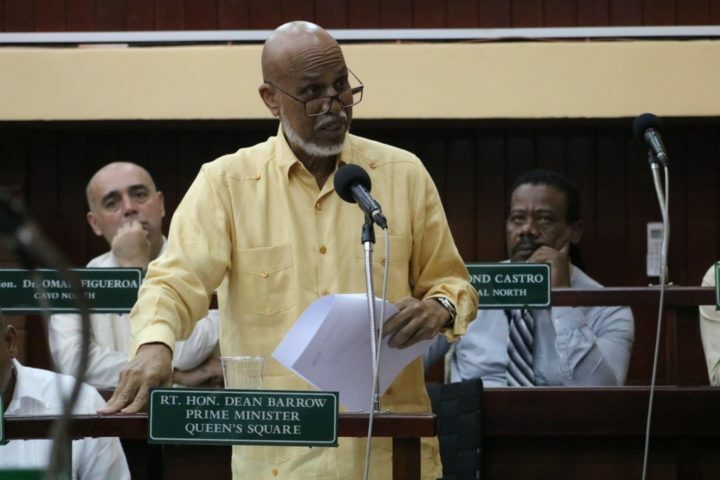 By Aaron Humes: Charges and counter-charges flew back and forth in the opening moments of the highly charged debate inside the House of Representative this morning on the Belize (Territorial Dispute) Referendum Bill, 2019. Prime Minister Dean Barrow put it simply: Belize agreed, is required and is obligated, by international convention and the provisions of the 2005 Confidence Building Measures between both countries that led to the Special Agreement, to proceed with the referendum. But, incongruously, the Opposition People’s United Party, whom while in Government negotiated the Agreement, now appear to be against it. Leader of the Opposition John Briceño, meanwhile, insisted that Belize must get it right here to avoid pain down the road. On both sides, charges flew of political gamesmanship and grandstanding. Whether it was the injunction granted on April 3 by Chief Justice Kenneth Benjamin, or the Court of Appeal’s declining to get involved on April 8, or thoughts of the coming general election, both sides contend that the other is seeking an advantage and putting Belizeans as the monkey in the middle. It seems clear that both sides agree that a referendum must be held and that the Court is the sole route by which Belize can obtain its objectives. But how we get there, with such various unresolved issues such as alleged disenfranchisement of voters locally and abroad, amendment of other relevant legislation including the original Referendum Act and Maritime Areas Act, keeps them divided. The Thursday statement of Belize’s representatives of the European Union, United Kingdom and the United States of America supporting a referendum also came in for opprobrium, with Lake Independence area representative Cordel Hyde complaining that this is what happens when we take international monies for the referendum campaign – they assume the right to tell us what to do.